As proved by Bell in 1964 in his seminal theorem, quantum correlations are incompatible with a description in terms of local hidden variable (LHV) models. The origin of Bell's result can be traced back to another milestone in the conceptual development of quantum mechanics, the EPR paper where a thought experiment is proposed to prove the apparent incompleteness of quantum mechanics, which then would emerge as an effective theory of an underlying LHV model. It was not until Bell's theorem that the EPR thought experiment could be put into an experimentally testable ground. Bell observed that even absent of any detailed information about the physical processes involved — an approach known nowadays as device-independent — the EPR assumptions alone imply experimentally testable constraints on the correlations that can arise from any local realistic description of nature. These constraints are the famous Bell inequalities, which are violated by quantum correlations, the phenomenon known as quantum nonlocality. In our group we investigate generalizations of Bell's theorem to a broad variety of relevant scenarios, also trying to understand how to use these non-classical correlations as physical resource in device-independent applications ranging from universal quantum computation to quantum cryptography, randomness generation and efficient distributed computing over complex networks . 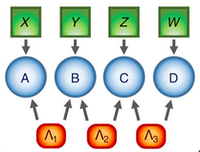 The development of quantum information theory has established, beyond doubt, the fact that quantum mechanical systems allow for a wide variety of new possibilities in the processing of information. However, under realistic situations where actual applications take place, systems are unavoidably subject to noise and other uncontrollable source of errors. 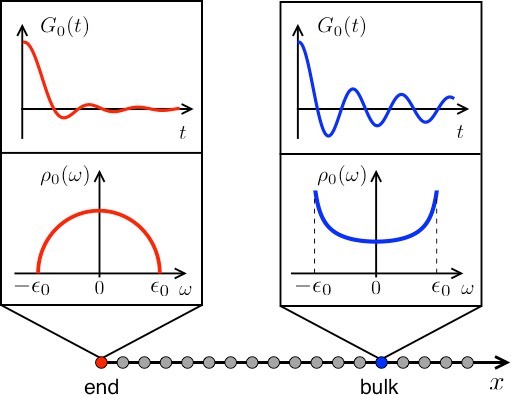 In our group we are interested in characterizing and probing the resilience of quantum resources in the presence of noise and in particular to develop ways to circumvent its deleterious effects. This research thread include topic as entanglement and non-locality dynamics, quantum metrology in the presence of noise and quantum control. It is a relatively new insight of classical statistics that empirical data can contain information about causation rather than mere correlation. Since its development in the mid-90s, causal inference has found applications in the most diverse fields and more recently has been proven to provide a powerful framework for revisiting and generalizing many of the cornerstones of quantum theory. Yet, the connection between the mathematical theory of causality and problems in quantum information remains in its infancy, offering a largely unexplored territory for both fundamental and applied research. In our group we develop the conceptual and mathematical tools required for a proper understanding of the role of causality in quantum mechanics but at the same time also providing new insights and techniques to the classical theory of causal inference. From a fundamental perspective, our aim is to understand non-classical behavior from a causal perspective, including question such as: Which causal structures yield quantum correlations without a classical analogue? What are the new forms of non-classicality they give rise to? From the practical side, we are interested in developing new applications, from experimentally less demanding cryptographic protocols to more efficient ways to communicate within complex quantum networks. The study of dynamical correlations provides invaluable about interaction effects in quantum many-body systems. In addition to traditional and new spectroscopic probes that probe materials in the momentum and frequency domain, the advent of cold atomic gases has raised new questions about the unitary real-time evolution of isolated systems. In this context, one-dimensional systems are a particularly interesting subject of research due to the availability of analytical and numerical methods to investigate their dynamics beyond low-energy or mean-field approximations. In our group, we are interested in questions such as the effects that nontrivial conservation laws associated with integrability can have on time-dependent correlations, transport properties and non-equilibrium dynamics of one-dimensional systems. In addition, we investigate the dynamics of mobile impurities in cold atomic gases, which can provide insight into strongly correlated systems where the conventional quasiparticle picture breaks down. Our toolbox includes a combination of effective field theories, exact Bethe ansatz solutions and numerical density matrix renormalization group methods. The Heisenberg spin chain, a model solved exactly by Hans Bethe in the 1930’s, provides a paradigmatic example of a strongly correlated system. Hallmarks of the Heisenberg model in one dimension are the absence of magnetic long-range order even at zero temperature and the unconventional excitation spectrum with fractional excitations called spinons. The Heisenberg chain served an inspiration for Philip Anderson’s proposal of quantum spin liquids in higher dimensions. These are highly entangled phases of matter, which may be either gapped with topological order or gapless with fermion-like fractional excitations. Our group works on investigating how quantum spin liquids may be stabilized in simple yet minimally realistic models for magnetic insulators. Systems of interest include Heisenberg models in geometrically frustrated lattices and Kitaev-type models for Mott insulators with strong spin-orbit coupling, which may host Majorana fermions with nontrivial momentum-space topology. In our research, we employ analytical approaches such as parton mean-field theories and coupled-chain constructions supplemented by renormalization group methods.